Janine St. Germain guides corporate, non-profit, and private sector clients in leveraging their archival holdings to support an institution's strategic plans, publicity, marketing and fundraising efforts. Her career began twenty years ago when she created the archives for Prospect Park’s landscape architects during the restoration of Brooklyn’s Last Forest. She organized and provided access to the park's earliest photographic print collection, including early documentation of the park by its designer Frederick Law Olmsted, as well as historic images donated to the archives by local residents. St. Germain's first visual arts archives project was that of theater artist Robert Wilson. Her engagement with his visually stunning and extensive collection led to a variety of artist archives projects. Fine artist Robert Kushner and performing/visual artist Christopher Knowles are among her longest-standing clients. Janine is a member of the Society of American Archivists, The Archivists Round Table of Metropolitan New York, Inc. and the Mid Atlantic Regional Archives Conference. 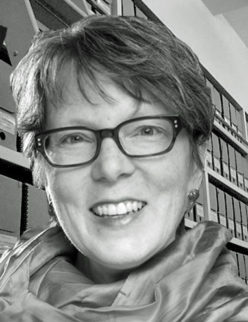 She is an Advisory Board Member for the IMLS-funded project "Learning from Artists' Archives: Preparing Next Generation Art Information Professionals through Partnerships with North Carolina's Artists' Archives."